Tips for Helping Your Senior Drive Safely for Longer - All Care Hawaii. LLC. Driving is an important skill and something that most adults value as part of their independence and their ability to control their own lives. This skill enables them to go where they need and want to go when it is right for them rather than having to wait for others to help them. For many elderly adults, challenges and limitations can threaten their ability to drive safely. If your parent is worried about their ability to continue expressing their independence through driving, now is the ideal time for you to take steps to reinforce their safe driving behaviors and put steps into place to keep them driving safely for longer. How can a senior care provider help? In the course of your caregiver journey with your aging parent, you will make a wide variety of important decisions. One of the most important that you will make is how to ensure that your parent’s needs are met effectively and efficiently. Fortunately, senior care can make this decision much simpler. 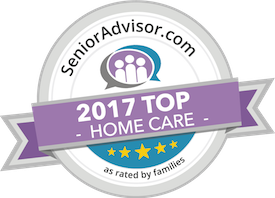 An elderly home care services provider can be with your parent on a customized schedule to ensure that their needs are met in the way that is right for them while also keeping you at the forefront of their care routine. This care provider can fill care gaps, be with your parent when your schedule keeps you from being with them as often as you would like, handle tasks that you are not able to or are uncomfortable handling, and boost their social interaction and emotional health with companionship and support. Have questions about senior care in Hawaii Kai, HI,? Contact the caring staff at All Care Hawaii today.